Niall Ferguson's new book, The Square and the Tower: Networks and Power from the Freemasons to Facebook is a sweeping historical review of the perennial power struggle between top-down hierarchies and more open forms of networks. It offers a thought-provoking perspective on a wide range of current global issues, as the beautiful techno-utopian theories of free and open networks increasingly face murder by two brutal gangs of facts: repressive hierarchies and anarchistic swarms. Ferguson examines the ebb and flow of power, order, and revolution, with important parallels between the Gutenberg revolution (which led to 130 years of conflict) and our digital revolution, as well as much in between. There is valuable perspective on the interplay of social networks (old and new), the hierarchies of governments (liberal and illiberal), anarchists/terrorists, and businesses (disruptive and monopolistic). One can disagree with Ferguson's conservative politics yet find his analysis illuminating. Drawing on a long career as a systems analyst/engineer/designer, manager, entrepreneur and inventor, I have recently come to share much of Ferguson's fear that we are going off the rails. He cites important examples like the 9/11 attacks, counterattacks, and ISIS, the financial meltdown of 2008, and most concerning to me, the 2016 election as swayed by social media and hacking. However -- discouraging as these are -- he seems to take an excessively binary view of network structure, and to discount the ability of open networks to better reorganize and balance excesses and abuse. He argues that traditional hierarchies should reestablish dominance. In that regard, I think Ferguson fails to see the potential for better ways to design, manage, use, and govern our networks -- and to better balance the best of hierarchy and openness. To be fair, few technologists are yet focused on the opportunities that I see as reachable, and now urgently needed. New levels of man-machine augmentation and new levels of decentralizing and modularizing intelligence can make these network smarter and more continuously adaptable to our wishes, while maintaining sensible and flexible levels of control. We can build on distributed intelligence in our networks to find more nuanced ways to balance openness and stability (without relying on unchecked levels of machine intelligence). Think of it as a new kind of systems architecture for modular engineering of rules that blends top-down stability with bottom-up emergence that apply checks and balances that work much like our representative democracy. This is a still-formative exploration of some ideas that I have written about, and plan to expand on in the future. First some context. 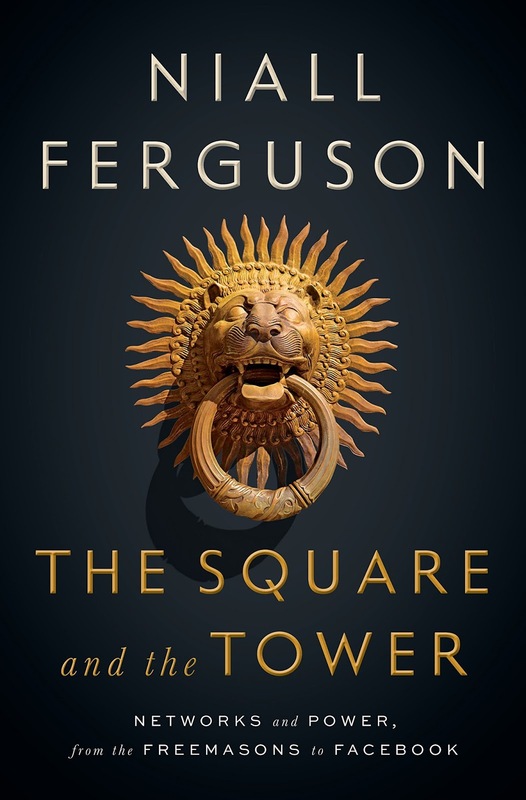 Ferguson's title comes from his metaphor of the medieval city of Sienna, with a large public square that serves as a marketplace and meeting place, and a high tower of government (as well as a nearby cathedral) that displayed the power of those hierarchies. But as he elaborates, networks have complex architectures and governance rules that are far richer than the binary categories of either "network" ( a peer to peer network with informal and emergent rules) or "hierarchy" (a constrained network with more formal directional rankings and restrictions on connectivity). The crucial differences among all kinds of networks are in the rules (algorithms, code, policies) that determine which nodes connect, and with what powers. While his analysis draws out the rich variety of such structures, in many interesting examples, with diagrams, what he seems to miss is any suggestion of a new synthesis. Modern computer-based networks enable our algorithms to be far more nuanced and dynamically variable. They become far more emergent in both structure and policy, while still subject to basic constraints needed for stability and fairness. The US constitution defines the powers and the structures for the governing hierarchy, and processes for legislation and execution, made resilient by its provisions for self-amendable checks and balances. Real-world social hierarchies have structures based on empowered people that tend to shift more or less slowly. Google has a page graph that is given dynamic weight by the PageRank algorithm, but the management of that algorithm is strictly controlled by Google. It has been continuously evolving in important respects, but the details are kept secret to make it harder to game. As Ferguson points out, our vaunted high-tech networks are controlled by corporate hierarchies (he refers to FANG, Facebook, Amazon, Netflix, and Google, and BAT, Baidu, Alibaba, and Tencent) -- but subject to levels of government control that vary in the US, EU, and China. This corporate control is a source of tension and resistance to change -- and a barrier to more emergent adaptation to changing needs and stressors (such as the Russian interference in our elections). These new monopolistic hierarchies extract high rents from the network -- meaning us, the users -- mostly in the form of advertising and sales of personal data. A fuller summary of Ferguson's message is in his WSJ preview article, "In Praise of Hierarchy." That headlines which side of fence he is on. My view on this is more positive -- in that the answer to the question of governance is to make our network algorithms not only smarter, but more open to individual and multi-party control. Business monopolies or oligarchies (or governments) may own and control essential infrastructure, but we can place limits on what they control and what is open. 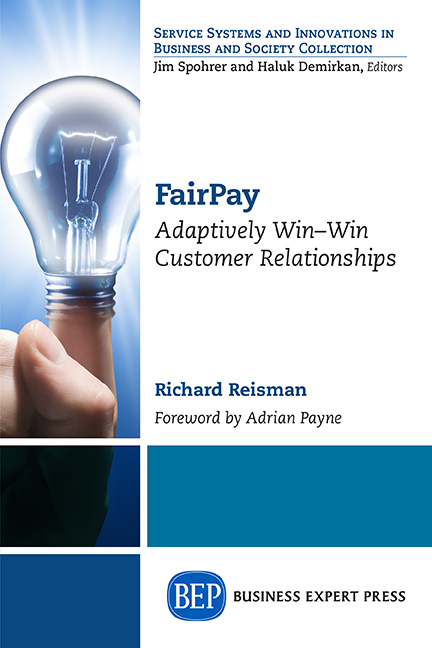 In the antitrust efforts of the past century governments found need to regulate rail and telephone networks as common carriers, with limited corporate-owner power to control how they are used, giving marketplace players (competitors and consumers) a large share in that control. Initially this was rigid and regulated in great detail by the government (very hierarchical), but the Carterfone decision showed how to open the old AT&T Bell System network to allow connection of devices not tested and approved by AT&T. Many forget how only AT&T phones could be used (except for special cases of alternative devices like early faxes (Xerox "telecopiers") that went through cumbersome and often arbitrary AT&T approval processes). 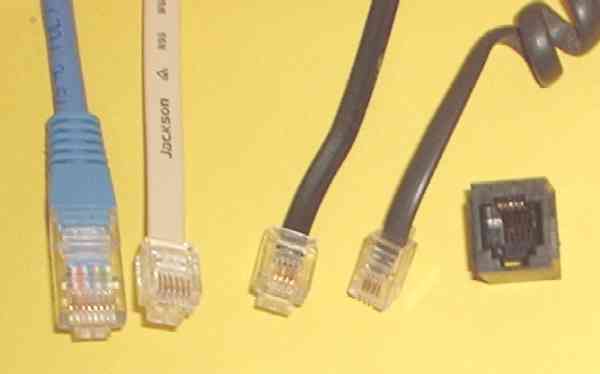 That changed when the FCC's decision opened the network up to any device that met defined electrical interface standards (using the still-familiar RJ11, a "Registered Jack"). Similarly only AT&T long-distance connections could be used, until the antitrust Consent Decree opened up competition among the "Baby Bells" and broke them off from Long Lines to compete on equal terms with carriers like MCI and Sprint. 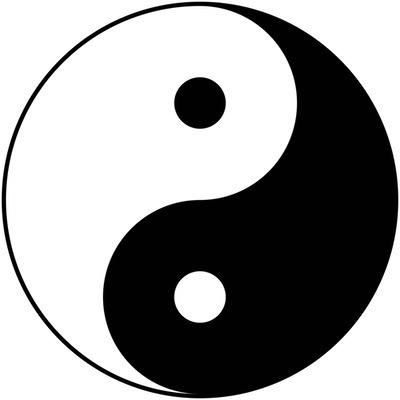 In software systems, such plug-like interfaces are known as APIs (Application Program Interfaces), and are now widely accepted as the standard way to let systems inter-operate with one another -- just enough, but no more -- much like a hardware jack does. This creates a level of modularity in architecture that lets multiple systems, subsystems, and components inter-operate as interchangeable parts -- the great advance of the first Industrial Revolution. What I suggest as the next step in evolution of our networks is a new kind of common carrier model that recognizes networks like Facebook, Google, and Twitter as common utilities once they reach some level of market dominance. Then antitrust protections would mandate open APIs to allow substitution of key components by customers -- to enable them to choose from an open market of alternatives that offer different features and different algorithms. Some specific suggestions are below, but first, a bit more on the motivations. Systems architects have long recognized that modularity is essential to making complex systems feasible and manageable. Software developers saw from the early days that monolithic systems did not scale -- they were hard to build, maintain, or modify. Web 2.0 extended that modularity to our network services, using network APIs that could be opened to the marketplace. Now we see wonderful examples of rich applications in the cloud composed of elements of logic, data, and analytics from a vast array of companies (such as travel services that seamlessly combine air, car rental, hotel, local attractions, loyalty programs, and tracking services from many companies). The beauty of this kind of modularity is that systems can be highly emergent, based on the transparency and stability of published APIs, to quickly adapt to meet needs that were not anticipated. Some of this can be at the consumer's discretion, and some is enabled by nimble entrepreneurs. The full dynamics of the market can be applied, yet basic levels of control can be retained by the various players to ensure resilience and minimize abuse or failures. The challenge that Ferguson makes clear is how to apply hierarchical control in the form of regulation in a way that limits risks, while enabling emergence driven by market forces. What we need is new focus on how to modularize critical common core utility services and how to govern the policies and algorithms that are applied, at multiple levels in the design of these systems (another kind of hierarchy). That can be done through some combination of industry self-regulation (where a few major players have the capability to do that, probably faster and more effectively than government), but by government where necessary (and only to the extent and duration necessary). That obviously will be difficult and contentious, but it is now essential, if we are not to endure a new age of disorder, revolution, and war much like the age that followed Gutenberg. Silicon Valley and the rest of the tech world need to take responsibility for the genie they have let out of the bottle, and mobilize to deal with it. The fundamental principle is that entrepreneurs should be free to innovate improvements to these "essential" platforms, to be selected by consumer market forces. Just as we moved beyond the restrictive walled gardens of AOL, and the early closed app stores (limited to apps created by Apple or Motorola or Verizon), we have unleashed a cornucopia of innovative Web services and apps that have made our services far more effective (and far more valuable to the platform owners as well, in spite of their fears). Why should first movers be allowed to block essential innovation? Why should they have sole control of the essential algorithms that are coming to govern major aspects of our lives? Why shouldn't our systems evolve toward fitness functions that we control, with just enough hierarchical structure to prevent excessive instability at any given time? Filtering rules. Filters are central to the function of Facebook, Google, and Twitter. As Ferguson observes, there are issues of homophily, filter bubbles, echo chambers, and fake news, and spoofing that are core to whether these networks make us smart or stupid, and whether we are easily manipulated to think in certain ways. Why not mandate that platforms be opened to user-selectable filtering algorithms (and/or human curators)? The major platforms can control their core services, but could allow for separate filters that inter-operate. Let users control their filters, whether just by setting key parameters, or by substituting pluggable alternative filters. This would be much like third party analytics in financial market data systems. Greater competition and transparency would allow users to compare alternative filters and decide what kinds of content they do or do not want. It would stimulate innovation to create new kinds of filters that might be far more useful. For example, I have proposed strategies for filters that can help counter filter bubble effects by being much smarter about how people are exposed to views that may be outside of their bubble, doing it in ways that they welcome and think about. 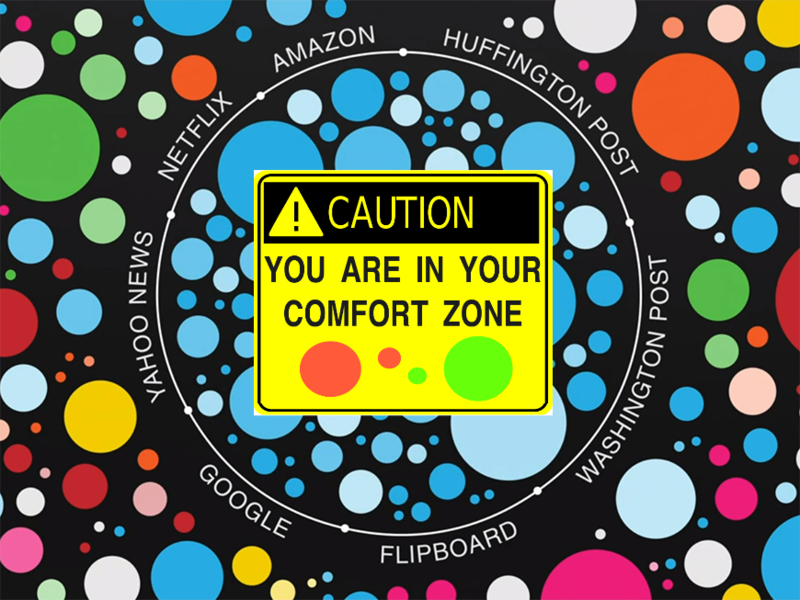 My post, Filtering for Serendipity -- Extremism, "Filter Bubbles" and "Surprising Validators" explains the need, and how that might be done. The key idea is to assign levels of authority to people based on the reputational authority that other people ascribe to them (think of it a RateRank, analogous to Google's PageRank algorithm). 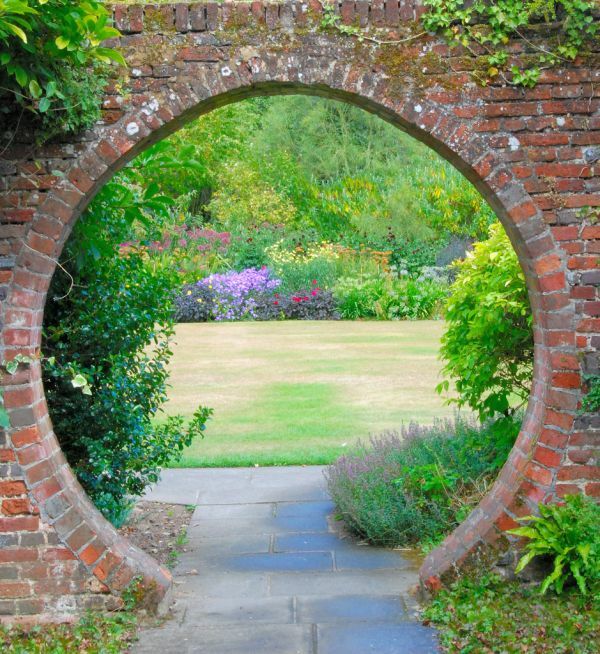 This approach also suggests ways to create smart serendipity, something that could be very valuable as well. The "wisdom of the crowd" may be a misnomer when the crowd is an undifferentiated mob, but, what I propose seeking the wisdom of the smart crowd -- first using the crowd to evaluate who is smart, and then letting the wisdom of the smart sub-crowd emerge, in a cyclic, self-improving process (much as Google's algorithm improves with usage). Social graphs and user agents: Why do Facebook, Twitter, LinkedIn, and others own separate, private forms of our social graph. Why not let other user agents interoperate with a given platform’s social graph? Does the platform own my social graph or do I? Does the platform control how that affects my filter or do I? Yes, we may have different flavors of social graph, such as personal for Facebook and professional for LinkedIn, but we could still have distinct sub-communities that we select when we use an integrated multi-graph, and those could offer greater nuance and flexibility with more direct user control. Email systems were modularized long ago, so that we compose and read mail using user agents (Outlook, Apple mail, Gmail, and others) that connect with remote mail transfer agent servers (that we may barely be aware of) which interchange mail with any other mail transfer agent to reach anyone using any kind of user agent, thus enabling universal connectivity. Why not do the same to let any social media user agent inter-operate with any other, using a common social graph? We would then set our user agent to apply filters to let us see whichever communities we want to see at any given time. Identity: A recurring problem with many social networks is abuse by anonymous users (often people with many aliases, or even just bots). Once again, this need not be a simple binary choice. It would not be hard to have multiple levels of participant, some anonymous and some with one or more levels of authentication as real human individuals (or legitimate organizations). These could then be clearly marked in feeds, and users could filter out anonymous or unverified users if desired. If such richness sounds overly complex, remember that complexity can be hidden by well-designed user agents and default rules. Those who are happy with a platform's defaults need not be affected by the options that other users might enable (or swap in) to customize their experience. But we could have the choice, and innovations that are valuable can emerge for use by early adopters, and then spread into the mainstream if success fuels demand. That is the genius of our market economy -- a spontaneous, emergent process for adaptively finding what works and has value -- more effective than any hierarchy (as Ferguson extols, with reference to Smith, Hayek, and Levitt). Another very powerful aspect of networks and algorithms that Ferguson (and many others) neglect is the augmentation of human intelligence. This idea dates back some 60 years (and more), when "artificial intelligence" went through its first hype cycle -- Licklider and Engelbart observed that the smarter strategy is not to seek totally artificial intelligence, but to seek hybrid strategies that draw on and augment human intelligence. Licklider called it "man-computer symbiosis, and used ARPA funding to support the work of Engelbart on "augmenting human intellect." In an age of mundane uses of computers, that proved eye-opening ("the mother of all demos") at a 1968 conference, and was one of the key inspirations for modern user interfaces, hypertext, and the Web. The term augmentation is resurfacing in the artificial intelligence field, as we are once again realizing how limited machine intelligence still is, and that (especially where broad and flexible intelligence is needed) it is often far more effective to seek to apply augmented intelligence that works symbiotically with humans, retaining human visibility and guidance over how machine intelligence is used. Why not apply this kind of emergent, reconfigurable augmented intelligence to drive a bottom up way to dynamically assign (and re-assign) authority in our networks, much like the way representative democracy assigns (and re-assigns) authority from the citizen up? Think of it as dynamically adaptive policy engineering (and consider that a strong bottom-up component will keep such "engineering" democratic and not authoritarian). Done well, this can keep our systems human-centered. 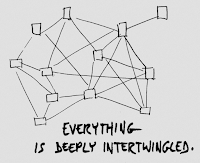 Not binary: networks versus hierarchies -- "Everything is deeply intertwingled"
Ted Nelson (who coined the term "hypertext" and was also one of the foundational visionaries of the Web), wrote in 1974 that "everything is deeply intertwingled." Ferguson's exposition illuminates how true that is of history. Unfortunately, his artificially binary dichotomy of hierarchies versus networks tends to mask this, and seems to blind him to how much more intertwingled we can expect our networks to be in the future. As Nelson put it, "Hierarchical and sequential structures, especially popular since Gutenberg, are usually forced and artificial. 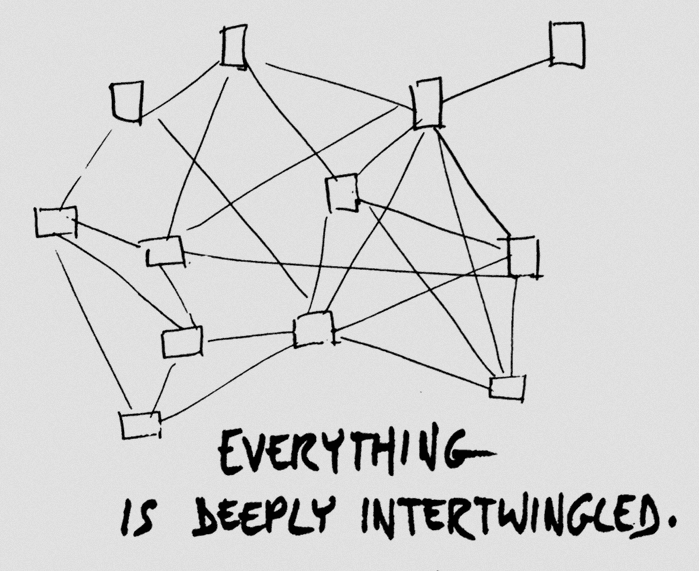 Intertwingularity is not generally acknowledged—people keep pretending they can make things hierarchical, categorizable and sequential when they can't." If we pull together to realize this potential, we can transcend the dichotomies and conflicts of the Square and the Tower that Ferguson reveals as so wickedly complex and dangerous. Just as Malthus failed to account for the emergent genius of civilization, and the non-linear improvements it produces, Ferguson seems to discount how non-linear the effect of smarter networks with more dynamically augmented and balanced structures can be. But he is right to be very fearful, and to raise the alarm -- we are racing along a very dangerous path, and are not being nearly smart or proactive enough about what we need to do to avert disaster. What we need now is not a top-down command and control Manhattan Project, but a multi-faceted, broadly-based movement. First published in Reisman on User-Centered Media, 1/13/18.